"Hohenzollern" redirects here. For other uses, see Hohenzollern (disambiguation). Germany's defeat in World War I in 1918 led to the German Revolution. The Hohenzollerns were overthrown and the Weimar Republic was established, thus bringing an end to the German monarchy. Georg Friedrich, Prince of Prussia is the current head of the royal Prussian line, while Karl Friedrich, Prince of Hohenzollern is the head of the princely Swabian line. Alpirsbach Abbey, founded by the Hohenzollerns. Zollern, from 1218 Hohenzollern, was a county of the Holy Roman Empire. Later its capital was Hechingen. The Hohenzollerns named their estates after Hohenzollern Castle in the Swabian Alps. The Hohenzollern Castle lies on an 855 meters high mountain called Hohenzollern. It still belongs to the family today. The dynasty was first mentioned in 1061. According to the medieval chronicler Berthold of Reichenau, Burkhard I, Count of Zollern (de Zolorin) was born before 1025 and died in 1061. In 1095 Count Adalbert of Zollern founded the Benedictine monastery of Alpirsbach, situated in the Black Forest. The Zollerns received the comital title from Emperor Henry V in 1111. As loyal vassals of the Swabian Hohenstaufen dynasty, they were able to significantly enlarge their territory. Count Frederick III (c. 1139 – c. 1200) accompanied Emperor Frederick Barbarossa against Henry the Lion in 1180, and through his marriage was granted the Burgraviate of Nuremberg by Emperor Henry VI in 1192. In about 1185 he married Sophia of Raabs, the daughter of Conrad II, Burgrave of Nuremberg. After the death of Conrad II who left no male heirs, Frederick III was granted Nuremberg as Burgrave Frederick I. In 1218 the burgraviate passed to Frederick's elder son Conrad I, he thereby became the ancestor of the Franconian Hohenzollern branch, which acquired the Electorate of Brandenburg in 1415. Conrad I received the county of Zollern and exchanged it for the burgraviate of Nuremberg with his younger brother Frederick IV in 1218, thereby founding the Franconian branch of the House of Hohenzollern. Members of the Franconian line eventually became the Brandenburg-Prussia branch. The Franconian line later converted to Protestantism. 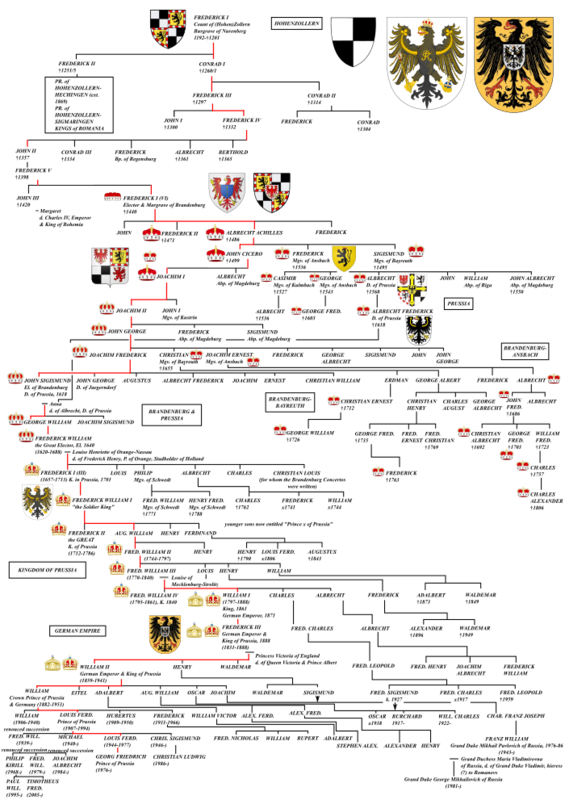 Frederick IV received the burgraviate of Nuremberg in 1200 from his father and exchanged it for the county of Zollern in 1218 with his brother, thereby founding the Swabian branch of the House of Hohenzollern. The Swabian line remains Catholic. The senior Franconian branch of the House of Hohenzollern was founded by Conrad I, Burgrave of Nuremberg (1186–1261). 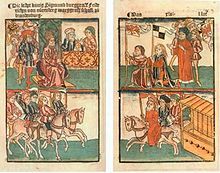 The family supported the Hohenstaufen and Habsburg rulers of the Holy Roman Empire during the 12th to 15th centuries, being rewarded with several territorial grants. Beginning in the 16th century, this branch of the family became Protestant and decided on expansion through marriage and the purchase of surrounding lands. These acquisitions eventually transformed the Franconian Hohenzollerns from a minor German princely family into one of the most important dynasties in Europe. 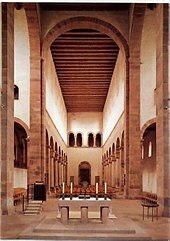 Heilsbronn Abbey, which the Hohenzollerns used as the family burial place. On 2 December 1791, Charles Alexander sold the sovereignty of his principalities to King Frederick William II of Prussia. Frederick VI became Margrave of Brandenburg in 1415. In 1411 Frederick VI, Burgrave of Nuremberg was appointed governor of Brandenburg in order to restore order and stability. At the Council of Constance in 1415, King Sigismund elevated Frederick to the rank of Elector and Margrave of Brandenburg as Frederick I.
personal union with Prussia after 1618 called Brandenburg-Prussia. The short-lived Margraviate of Brandenburg-Küstrin was set up as a secundogeniture of the House of Hohenzollern. 1535–1571: John the Wise, Margrave of Brandenburg-Küstrin (son of Joachim I Nestor, Elector of Brandenburg. He died without issue. The Margraviate of Brandenburg-Küstrin was absorbed in 1571 into Brandenburg]]. Although recognised as a branch of the dynasty since 1688, the Margraviate of Brandenburg-Schwedt remained subordinate to the electors, and was never an independent principality. In 1525 the Duchy of Prussia was established as a fief of the King of Poland. Albert of Prussia was the last Grand Master of the Teutonic Knights and the first Duke of Prussia. He belonged to the Ansbach branch of the dynasty. The Duchy of Prussia adopted Protestantism as the official state religion. From 1701 the title of Duke of Prussia was attached to the title of King in and of Prussia. Coronation of Frederick I in Königsberg. In 1701 the title of King in Prussia was granted, without the Duchy of Prussia being elevated to a Kingdom within the Holy Roman Empire. From 1701 onwards the titles of Duke of Prussia and Elector of Brandenburg were always attached to the title of King in Prussia. The Duke of Prussia adopted the title of king as Frederick I, establishing his status as a monarch whose royal territory lay outside the boundaries of the Holy Roman Empire, with the assent of Emperor Leopold I: Frederick could not be "King of Prussia" because part of Prussia's lands were under the suzerainty of the Crown of the Kingdom of Poland. In the age of absolutism, most monarchs were obsessed with the desire to emulate Louis XIV of France with his luxurious palace at Versailles. 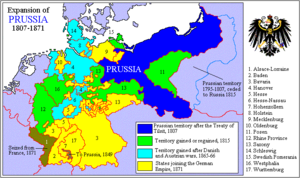 In 1772 the Duchy of Prussia was elevated to a kingdom. Frederick William's successor, Frederick the Great gained Silesia in the Silesian Wars so that Prussia emerged as a great power. 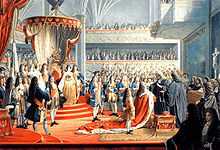 The king was strongly influenced by French culture and civilization and preferred the French language. In 1772 the title King of Prussia was assumed. From 1772 onwards the titles of Duke of Prussia and Elector of Brandenburg were always attached to the title King of Prussia. In 1871 the Kingdom of Prussia became a constituent member of the German Empire, and the King of Prussia gained the additional title of German Emperor. In 1871 the German Empire was proclaimed. With the accession of William I to the newly established imperial German throne, the titles of King of Prussia, Duke of Prussia and Elector of Brandenburg were always attached to the title of German Emperor. Prussia's Minister President Otto von Bismarck convinced William that German Emperor instead of Emperor of Germany would be appropriate. He became primus inter pares among other German sovereigns. William II intended to develop a German navy capable of challenging Britain's Royal Navy. The assassination of Archduke Franz Ferdinand of Austria on 28 June 1914 set off the chain of events that led to World War I. As a result of the war, the German, Russian, Austro-Hungarian and Ottoman empires ceased to exist. In 1918 the German empire was abolished and replaced by the Weimar Republic. After the outbreak of the German revolution in 1918, both Emperor Wilhelm II and Crown Prince Wilhelm signed the document of abdication. In June 1926, a referendum on expropriating the formerly ruling princes of Germany without compensation failed and as a consequence, the financial situation of the Hohenzollern family improved considerably. A settlement between the state and the family made Cecilienhof property of the state but granted a right of residence to Crown Prince Wilhelm and his wife Cecilie. The family also kept the ownership of Monbijou Palace in Berlin, Oleśnica Castle in Silesia, Rheinsberg Palace, Schwedt Palace and other property until 1945. Since the abolition of the German monarchy, no Hohenzollern claims to imperial or royal prerogatives are recognised by Germany's Basic Law for the Federal Republic of Germany of 1949, which guarantees a republic. The communist government of the Soviet occupation zone depropriated all landowners and industrialists; the House of Hohenzollern lost almost all of its fortune, retaining a few company shares and Hohenzollern Castle in West Germany. The Polish government appropriated the Silesian property and the Dutch government seized Huis Doorn, the Emperor's seat in exile. After German reunification however, the family was legally able to re-claim their portable property, namely art collections and parts of the interior of their former palaces. Negotiations on the return of or compensation for these assets are not yet completed. Berlin's Old City Palace is being rebuilt and is scheduled to open in 2019. The Berlin Palace and the Humboldt Forum are located in the middle of Berlin. The head of the house is the titular King of Prussia and German Emperor. He also bears a historical claim to the title of Prince of Orange. Members of this line style themselves princes of Prussia. Georg Friedrich, Prince of Prussia, the current head of the royal Prussian House of Hohenzollern, was married to Princess Sophie of Isenburg on 27 August 2011. On 20 January 2013, she gave birth to twin sons, Carl Friedrich Franz Alexander and Louis Ferdinand Christian Albrecht, in Bremen. Carl Friedrich, the elder of the two, is the heir apparent. The cadet Swabian branch of the House of Hohenzollern was founded by Frederick IV, Count of Zollern. The family ruled three territories with seats at, respectively, Hechingen, Sigmaringen and Haigerloch. The counts were elevated to princes in 1623. The Swabian branch of the Hohenzollerns is Roman Catholic. Affected by economic problems and internal feuds, the Hohenzollern counts from the 14th century onwards came under pressure by their neighbors, the Counts of Württemberg and the cities of the Swabian League, whose troops besieged and finally destroyed Hohenzollern Castle in 1423. Nevertheless, the Hohenzollerns retained their estates, backed by their Brandenburg cousins and the Imperial House of Habsburg. In 1535, Count Charles I of Hohenzollern (1512–1576) received the counties of Sigmaringen and Veringen as Imperial fiefs. In 1576, when Charles I, Count of Hohenzollern died, his county was divided to form the three Swabian branches. Eitel Frederick IV took Hohenzollern with the title of Hohenzollern-Hechingen, Karl II took Sigmaringen and Veringen, and Christopher got Haigerloch. Christopher's family died out in 1634. In 1695, the remaining two Swabian branches entered into an agreement with the Margrave of Brandenburg which provided that if both branches became extinct, the principalities should fall to Brandenburg. Because of the Revolutions of 1848, Constantine, Prince of Hohenzollern-Hechingen and Karl Anton, Prince of Hohenzollern-Sigmaringen abdicated their thrones in December 1849. The principalities were ruled by the Kings of Prussia from December 1849 onward, with the Hechingen and Sigmaringen branches obtaining official treatment as cadets of the Prussian royal family. The Hohenzollern-Hechingen branch became extinct in 1869. A descendent of this branch was Countess Sophie Chotek, morganatic wife of Archduke Franz Ferdinand of Austria-Este. In 1204, the County of Hohenzollern was established out of the fusion of the County of Zollern and the Burgraviate of Nuremberg. The Swabian branch inherited the county of Zollern and, being descended from Frederick I of Nuremberg, were all named "Friedrich" down through the 11th generation. Each one's numeral is counted from the first Friedrich to rule his branch's appanage. The most senior of these in the 12th century, Count Frederick VIII (d. 1333), had two sons, the elder of whom became Frederick IX (d. 1379), first Count of Hohenzollern, and fathered Friedrich X who left no sons when he died in 1412. But the younger son of Friedrich VIII, called Friedrich of Strassburg, uniquely, took no numeral of his own, retaining the old title "Count of Zollern" and pre-deceased his brother in 1364/65. Prince Wilhelm Karl zu Isenburg's 1957 genealogical series, Europäische Stammtafeln, says Friedrich of Strassburg shared, rather, in the rule of Zollern with his elder brother until his premature death. It appears, but is not stated, that Strassburg's son became the recognized co-ruler of his cousin Friedrich X (as compensation for having received no appanage and/or because of incapacity on the part of Friedrich X) and, as such, assumed (or is, historically, attributed) the designation Frederick XI although he actually pre-deceased Friedrich X, dying in 1401. Friedrich XI, however, left two sons who jointly succeeded their cousin-once-removed, being Count Frederick XII (d. childless 1443) and Count Eitel Friedrich I (d. 1439), the latter becoming the ancestor of all subsequent branches of the Princes of Hohenzollern. In the 12th century, a son of Frederick I secured the county of Hohenberg. The county remained in the possession of the family until 1486. The influence of the Swabian line was weakened by several partitions of its lands. In the 16th century, the situation changed completely when Eitel Frederick II, a friend and adviser of the emperor Maximilian I, received the district of Haigerloch. His grandson Charles I was granted the counties of Sigmaringen and Vehringen by Charles V.
The County of Hohenzollern-Hechingen was established in 1576 with allodial rights. It included the original County of Zollern, with the Hohenzollern Castle and the monastery at Stetten. In December 1849, the ruling princes of both Hohenzollern-Hechingen and Hohenzollern-Sigmaringen abdicated their thrones, and their principalities were incorporated as the Prussian province of Hohenzollern. The Hechingen branch became extinct in dynastic line with Konstantin's death in 1869. 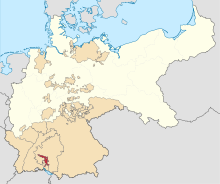 The County of Hohenzollern-Haigerloch was established in 1576 without allodial rights. Between 1634 and 1681, the county was temporarily integrated into the principality of Hohenzollern-Sigmaringen. Upon the death of Francis Christopher Anton in 1767, the Haigerloch territory was incorporated into the principality of Hohenzollern-Sigmaringen. The County of Hohenzollern-Sigmaringen was established in 1576 with allodial rights and a seat at Sigmaringen Castle. In December 1849, sovereignty over the principality was yielded to the Franconian branch of the family and incorporated into the Kingdom of Prussia, which accorded status as cadets of the Prussian Royal Family to the Swabian Hohenzollerns. The last ruling Prince of Hohenzollern-Sigmaringen, Karl Anton, would later serve as Minister President of Prussia between 1858 and 1862. Map of the Province of Hohenzollern, a de facto province of Prussia after 1850. The family continued to use the title of Prince of Hohenzollern-Sigmaringen. After the Hechingen branch became extinct in 1869, the Sigmaringen branch adopted title of Prince of Hohenzollern. In 1866, Prince Charles of Hohenzollern-Sigmaringen was chosen prince of Romania, becoming King Carol I of Romania in 1881. Charles's elder brother, Leopold, Prince of Hohenzollern, was offered the Spanish throne after a revolt exiled Isabella II in 1870. Although encouraged by Bismarck to accept, Leopold declined in the face of French opposition. Nonetheless, Bismarck altered and then published the Ems telegram to create a casus belli: France declared war, but Bismarck's Germany won the Franco-Prussian War. The head of the Sigmaringen branch (the only extant line of the Swabian branch of the dynasty) is Karl Friedrich, styled His Serene Highness The Prince of Hohenzollern. His official seat is Sigmaringen Castle. The Principality of Romania was established in 1862, after the Ottoman vassal states of Wallachia and Moldavia had been united in 1859 under Alexandru Ioan Cuza as Prince of Romania in a personal union. He was deposed in 1866 by the Romanian parliament. Prince Charles of Hohenzollern-Sigmaringen was invited to become reigning Prince of Romania in 1866. In 1881 he became Carol I, King of the Romanians. Carol I had an only daughter who died young, so the younger son of his brother Leopold, Prince Ferdinand of Hohenzollern-Sigmaringen, would succeed his uncle as King of the Romanians in 1914, and his descendants, having converted to the Orthodox Church, continued to reign there until the end of the monarchy in 1947. In 1947 the Kingdom of Romania was abolished and replaced with the People's Republic of Romania. Michael did not press his claim to the defunct Romanian throne and although he was welcomed back to the country after half a century in exile as a private citizen, with substantial former royal properties being placed at his disposal. However, his dynastic claim was not recognised by post-Communist Romanians. On 10 May 2011, Michael severed the dynastic ties between the House of Romania and the House of Hohenzollern. After that the branch of the Hohenzollerns was dynastically represented only by the last king Michael, and his daughters. Having no sons, he declared that his dynastic heir, instead of being a male member of the Hohenzollern-Sigmaringen princely family to which he belongs patrilineally and in accordance with the last Romanian monarchical constitution, should be his eldest daughter Margareta. The royal house is still very popular and in 2014 Prime Minister Victor Ponta promised a referendum on whether or not to reinstate the monarchy if he were re-elected. ^ a b c d e f g h i j Genealogisches Handbuch des Adels, Fürstliche Häuser XIX. "Haus Hohenzollern". C.A. Starke Verlag, 2011, pp. 30–33. ISBN 978-3-7980-0849-6. ^ a b c Schmid, Ludwig (1862). "Geschichte der Grafen von Zollern-Hohenberg". Geschichte der Grafen von Zollern-Hohenberg. Anhang. Historisch-topographische Zusammenstellung der Grafschaft und Besitzungen des Hauses Zollern-Hohenberg. Google Book: Gebrüder Scheitlin. Retrieved February 1, 2013. ^ "Official Website of the House of Hohenzollern: Prinz Georg Friedrich von Preußen". ^ Heraldry of the Royal Families of Europe, Jiří Louda & Michael Maclagan, 1981, pp. 178–179. ^ a b c d e f Huberty, Michel; Giraud, Alain; Magdelaine, F.; B. (1989). L'Allemagne Dynastique, Tome V – Hohenzollern-Waldeck. France: Laballery. pp. 30, 33. ISBN 2-901138-05-5. ^ "Romania's former King Michael ends ties with German Hohenzollern dynasty". The Canadian Press. Retrieved 2011-05-11. Wikimedia Commons has media related to House of Hohenzollern.